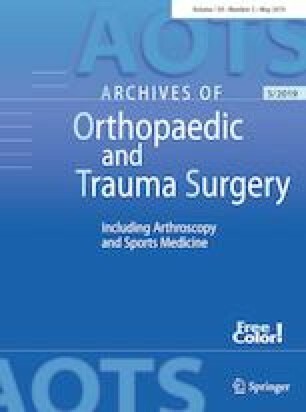 Dislocation is a serious and common complication and a great concern with the use of total hip arthroplasty (THA) when treating displaced femoral neck fracture (FNF). Dual-mobility (DM) THA might reduce the dislocation risk. We aim to report the dislocation and revision rate of primary DM THA in patients with displaced FNF. Between 2005 and 2015, 966 consecutive patients (676 women) at mean age 80.5 years (range 42–104) with displaced FNF were operated with DM articulation THA by posterolateral approach (PLA). Patient files and radiographs were evaluated for dislocations, revisions, and other complications until death of the patient or August 1st, 2017. Data were crosschecked with the National Patient Registry. Patient’s mental state was tested upon admissions. Surgeon’s educational level was noted and post-operative cup position was measured. At minimum 1.6-year follow-up, there were 45 (4.7%) dislocations and eight (0.8%) cup revisions. The 30-day mortality was 9.2% and 533 patients (55.2%) were dead at the time of last follow-up. We observed eight intraprosthetic dislocations (IPD); six occurred in relation to closed reduction. Cementless stem fixation was associated with higher dislocation risk (p = 0.04) and higher rate of stem complications (p = 0.002). There was no significant association between cognitive impairment and dislocation (OR 2.0, 95% CI 0.96–4.34, p = 0.06). Overall, DM THA inserted via PLA results in an acceptable dislocation risk and low revision rate in fragile, old patients with acute FNF fracture, regardless of mental status. A unique complication in DM THA is IPD, which requires an immediate open reduction surgery. This is no funding source.